In 2003, the National Institute of Health’s (NIH) “Human Genome Project”1 (HGP) announced that it had completed its research involving the mapping of the entirety of the human genome. It revealed that there are over 20,0002 3 individual genes in the human body, providing scientists and others with detailed information about the structure, organization and function of the human genome, along with a basic set of genetic patterns for the development and function of a human being.4 It also allowed researchers to explore the association between genetic information and the development of human disorders,5 by providing researchers with a range of tools. The process involved in making changes to an organism’s DNA is called genome editing.18 This process has helped researchers develop and use a group of technologies to change an organism's DNA by adding, removing or altering genetic material at particular locations in the genome. The NIH maintains a database of various informatics technologies that have been developed in the years since the 2003 announcement and these were instrumental in the development of gene editing tools.19 Several avenues of research have been pursued using these tools resulting in an improved understanding of an organism’s genome. When the term CRISPR/Cas9 was first published in 200250 it was poised to have a transformative effect on gene editing in many areas of biological research. It has been widely embraced and its use has spread quickly due to the advantages it offers—it is easy to use, offers quick results and it efficiently edits DNA sequences. As the technology has developed, a number of concerns were expressed which questioned the safety, ethics and efficacy of gene editing. While these difficulties were being worked out, researchers have explored and expanded the effectiveness and the use of previously existing gene editing tools. 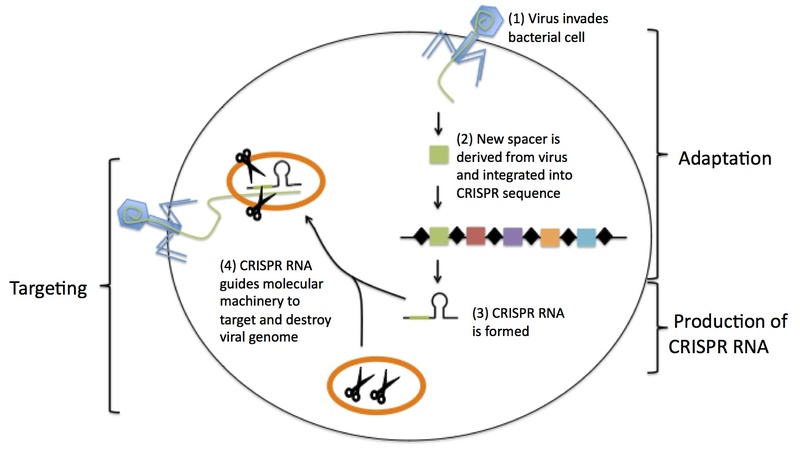 They have begun to demonstrate uses for CRISPR that go well beyond its use in performing gene editing.51 It remains one of researchers’ most useful tools in the field of genomics, and it has the potential to be a multifunctional instrument that can work in any of a number of potential applications associated with the science of gene editing.52 With the range of preventive and therapeutic possibilities emerging, CRISPR technology remains a powerful toolset for addressing genetically-based illness and disabilities. To learn more about how OneBeacon Technology Insurance can help you manage online and other technology risks, please contact Dan Bauman, VP of Risk Control for OneBeacon Technology Insurance at dbauman@onebeacontech.com or 262.966.2739.